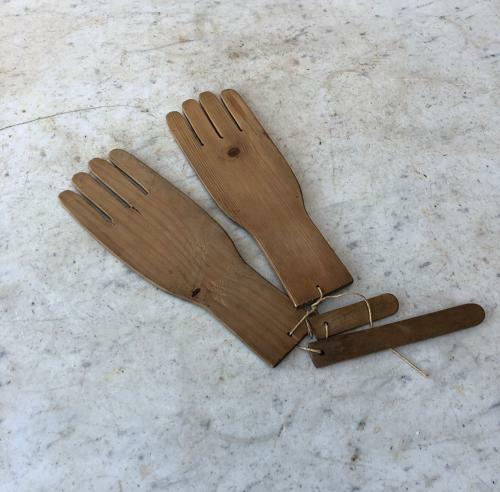 Pair of Early 20th Century Pine Hand Shaped Glove Driers or Stretchers. There are two thumbs attached (they were usually separate) and initially I thought one was in half but there is no break (see last photograph) so I think there is the option of a longer or shorter thumb. Either way they display well and are hard to find.